Lorenzo Cavasanti was born in Genoa and is regarded as one of the finest recorder player of the time. He studied recorder and early music with Frans Brüggen, Kees Boeke, Walter van Hauwe and graduated in recorder and baroque transverse flute in Milan, with Pedro Memelsdorff and Ezequiel M. Recondo. As a solist, he appers in prominent music festivals, such as the “BBC Proms” in London, Mozartwoche in Salzburg, Citè de la Musique in Paris, Festival Internazionale di Musica Antica di Urbino, Barokfest Munster (Germany) and performed in some of the most prestigious venues as Musikverein Wien, Royal Alpert Hall London, Teatro alla Scala Milano, Tonhalle Zürich, Gran Teatre del Liceu Barcelona. 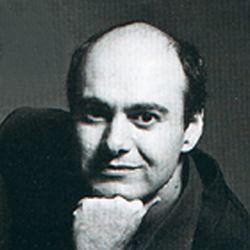 In 1991 Lorenzo Cavasanti started an intense and successful recording activity, hailed by many awards from the international critic: the Cini Foundation in Venice awarded his recording of Mancini sonatas, while the series of recordings devoted to Telemann by Tripla Concordia, received prizes and awards from all over the world. He presently teaches recorder, traverso and Baroque chamber music at the Bozen Conservatory of Music. He gives also masterclasses at the Universität Mozarteum Salzburg, at the ESMUC Barcelona, at the Universität für Musik und Darstellende Kunst Wien and at the Royal College of Music of London and of Stockholm. After her studies at the Conservatory of Amsterdam (A.Bijlsma) she moved to Italy, where she worked at S.Cecilia Symphonic Orchestra (Rome). Subsequently she collaborated with various baroque and classical chamber orchestras (Italy, Austria), touring throughout Europe and Japan. Since 1988 she is member of Tripla Concordia with Lorenzo Cavasanti and Sergio Ciomei. With this ensemble she appeared on radio and television in several countries of the European Union and performed at major music festivals both in Italy and abroad, such as Musica e Poesia a S. Maurizio in Milan, the Schlosskonzerte in Salzburg (Austria), the Festival Internacional de Musica Antigua de Daroca (Spain), the Music Weeks at the Cité de la Musique de Paris (France), Haendel Festival in Halle (Germany). With Tripla Concordia she made a number of recordings, which have earned international recognition (Stradivarius, Dynamic, Nuova Era, Philharmonia, Cantus, Brilliant, Arcana). She has collaborated with musicians like Fabio Biondi, Alfredo Bernardini, Kees Boeke, G.Letzbor (Ars Antiqua Austria), in both concerts and recordings (Chesky, Symphonia, Amadeus, Cantus). 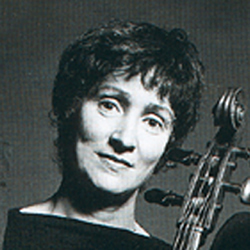 From 1990 she participated regularly in music-theatre productions as a cellist with Pietro Bartolini, Giovanni Pampiglione (Palermo, Siena, Foggia, Firenze, Roma e.a), and more recently with Kevin Crawford (Italy, France, USA). Sergio Ciomei was born in Genoa in 1965. He graduated in piano in 1984, under the guidance of Franco Trabucco, winning a prize for the best diploma of the year. Then he took part in masterclasses held by Muriel Chemin, Piero Rattalino and Andràs Schiff. He first achieved international acclaim in 1991, when he won the second prize at the International Mozart Competition in Salzburg’s Mozarteum. Alongside his piano activity, Sergio Ciomei studied harpsichord (under C. Rousset and J.W.Jansen) and fortepiano (under A. Staier and L. Alvini). 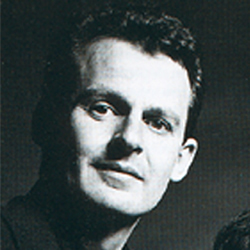 From 1989 to 1994 he has been Assistant Maestro of Frans Brüggen and Kees Boeke at the Baroque Music Masterclasses in Siena’s Accademia Chigiana. Sergio Ciomei has a busy concert schedule all around the world. As a piano and harpsichord soloist, he gives recitals and performs under the baton of maestros such as Biondi, Brüggen, Kantorow, Klinge (Berlin Philarmonie, Teatro Regio di Torino, Salzburg Mozarteum, etc.). As a chamber musician, he plays together with some of the leading artists of our time, such as: Antonini, Biondi, Boeke, Brüggen, Gallois, Steger (Théâtre des Champs-Élysées in Paris, Auditorium Nacional in Madrid, Berlin Philarmonie, etc.). Recently, his recording of Mozart sonatas for fortepiano and violin, with Fabrizio Cipriani, has been awarded by a japanese music magazine (Ontomo Guide for the best chamber music), being described as “one of the finest Mozart recordings of all time”).